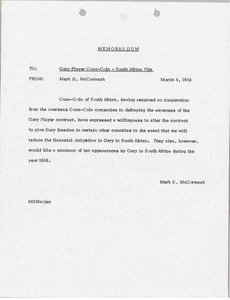 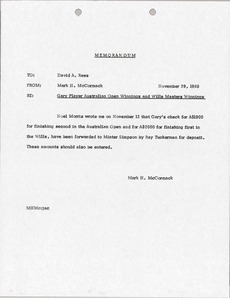 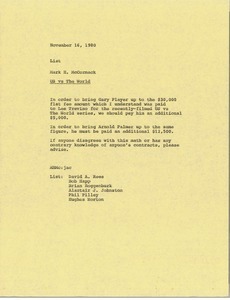 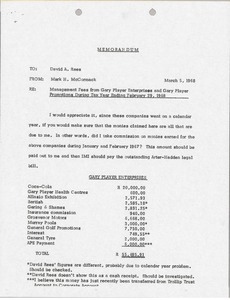 McCormack writes regarding the fees being paid to Gary Player and Arnold Palmer for the United States versus the World matches. 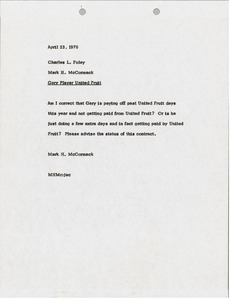 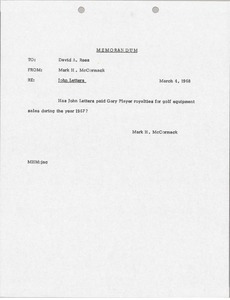 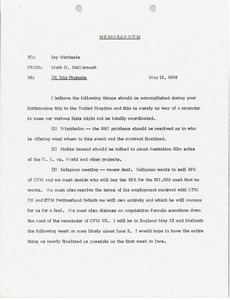 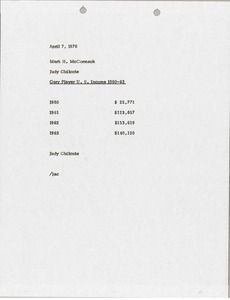 Judy Chilcote sends McCormack a list of Gary Player's U. S. income from 1960-1963. 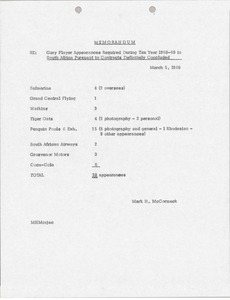 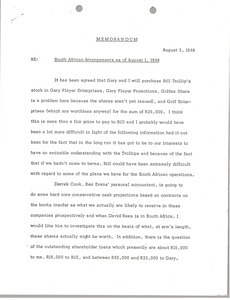 Concerning Gary Player's requires appearances during tax year 1968 in South Africa.